Note: I’m going to have to break this trip down into a series of posts because at nearly a million acres, Olympic National Park is huge. It has 3 distinct ecosystems and offers a variety of adventures from alpine hiking and mountain climbing to beach combing. Distances between the various portions of the park can cover 150 miles. 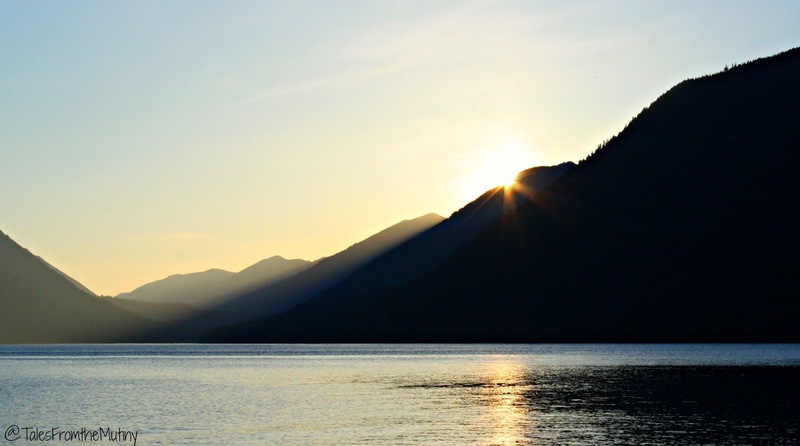 In just this blog post, the distance between Elwha and Sol Duc is 47 miles. Our trip to Olympic National Park started off with some lady in a sedan flipping us off as she passed the Mutiny on a solid, double yellow line. Now, to be clear, we weren’t going slow, we hadn’t cut her off and, to this day, have no idea what could have set her off. We’d been traveling highway 101 for about 2 hours and were on a fairly level stretch…certainly not holding up traffic or doing anything stupid, not that we were aware of anyway. That was a fine “how do you do” and welcome to the peninsula. As bizarre as that was it got even stranger when, a few miles down the road, we pulled into the RV park we’d planned on staying at and found the very same woman had pulled in right in front of us. Although the look of horror/surprise/fear on her face was priceless (I’m wondering if she thought we’d followed her for a confrontation) we pretty much knew we wouldn’t be staying there after all (thankfully we hadn’t prepaid). 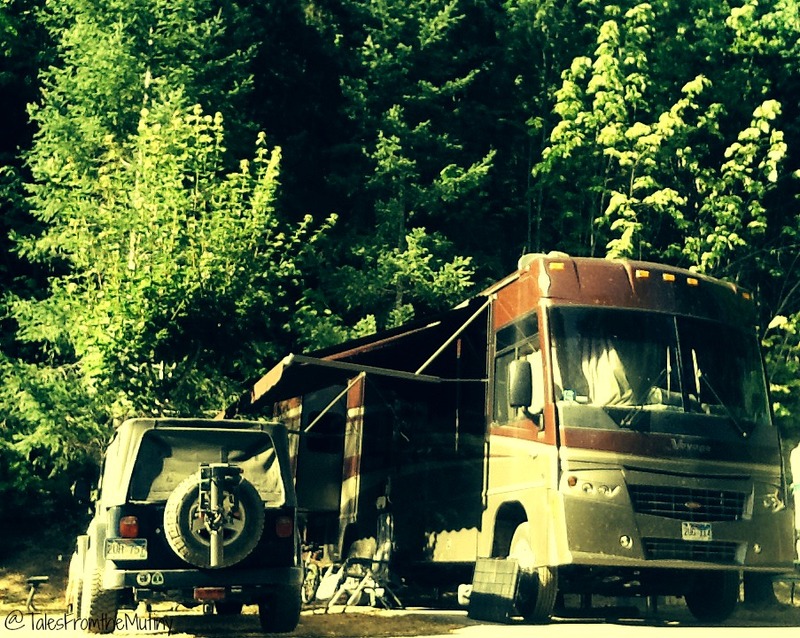 This was supposed to be our basecamp for the week while we explored the northern part of Olympic NP. Seeing that this woman, who appeared to be a permanent resident, would be there as well had us feeling our stuff wouldn’t be safe while it was left unattended. This is NOT a single lane road. Unfortunately, that meant we had to not only find a different RV park nearby but I had to try to program our Rand McNally RV GPS to get us there…all while we were getting the stink eye from the woman’s boyfriend/husband. And while our GPS had been mostly dependable, this was going to be one of those times it sent us on a hair-raising trip down a narrow road on the edge of lake. In case you’re wondering, when you’re already slightly shaken up about a potential road rage encounter and have to find alternate camping accommodations after driving all day, the last thing you want to deal with is driving on what appears to be a single lane road (but isn’t) along the edge of a lake with no where to go if another vehicle comes except a) into the trees whose branches are already scrapping your sides or b) over the cliff edge and into the lake. Our site was on the upper most tier. But somehow it all worked out and Shadow Mountain Campground RV Park ended up saving our trip even though it was a little more money than we’d hope to spend (sometimes you get what you pay for though). There’s a gas station and General Store (where you go to register) on site, which was convenient since visiting the park required quite a bit of driving. The campground is laid out in on a tiered hillside…which makes it a great workout if and when you need to do laundry…and are a length specific with absolutely no “wiggle room” (if your RV is 31 1/2 feet you will not fit in a 31 foot spot). Even though it’s right on the highway it was quiet at night. 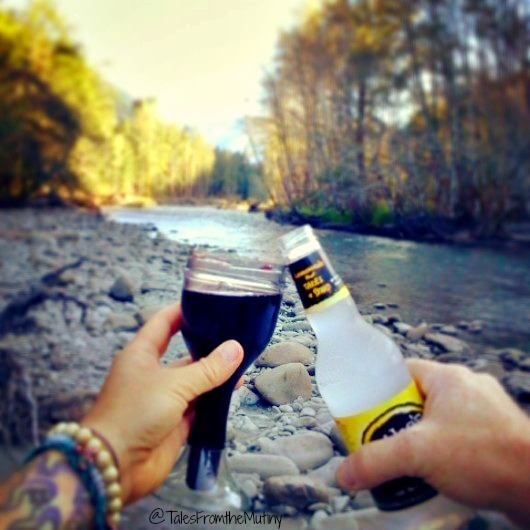 Either way, we were there to hike in the park and knowing our RV wouldn’t be messed with offered peace of mind…which was priceless. 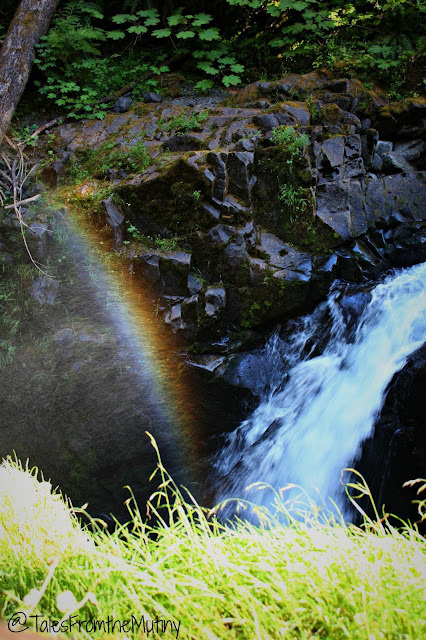 A rainbow at Sol Duc Falls. Speaking of hiking…I got up early to meet my friend, Kim, who I had graduated with up in Alaska (Go Ravens! Class of ’88!! 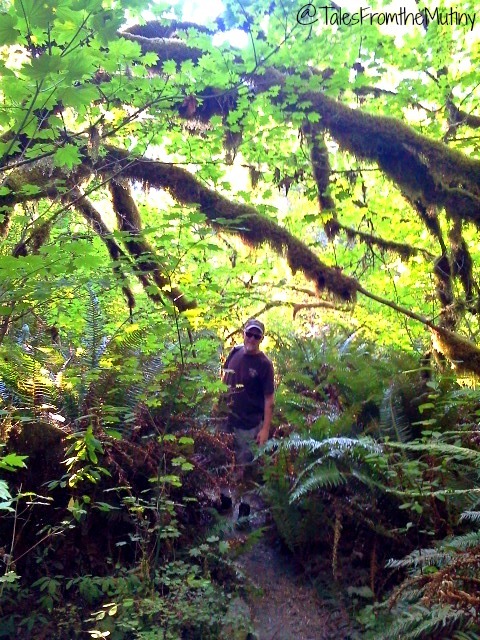 ), to hike Sol Duc Falls. Kim happened to be tent camping inside the park and I didn’t want to miss the opportunity to see her again. The hike was an easy 0.8 miles (one way) through a dense, old growth forest but the experience was wonderful. Hiking with an old friend in an old forest is pretty special. 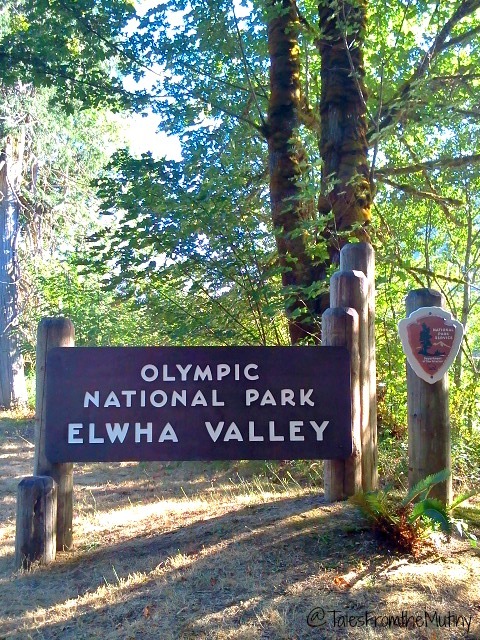 Clark and I decided to hike the West Elwha River Trail as a warm up to some of the more challenging hikes Olympic NP has to offer. At the time of our visit the park was working on removing the 2 dams that had been erected in the early 1900’s and consequently blocked salmon for returning to spawn. You can read about the Elwha River Restoration project here. The hike weaves through the lowland forest, along the river and has very little elevation change. 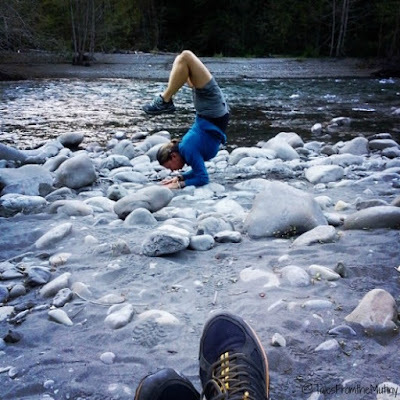 We stopped at the river crossing to enjoy our lunch and strike a yoga pose. We ended the day at Lake Crescent to check out the lodge and watch the sunset on the shores of the lake. The lodge was built in 1915 and it, as well as the famed Roosevelt Cabins (you can reserve these), is listed in the National Register of Historic Places. 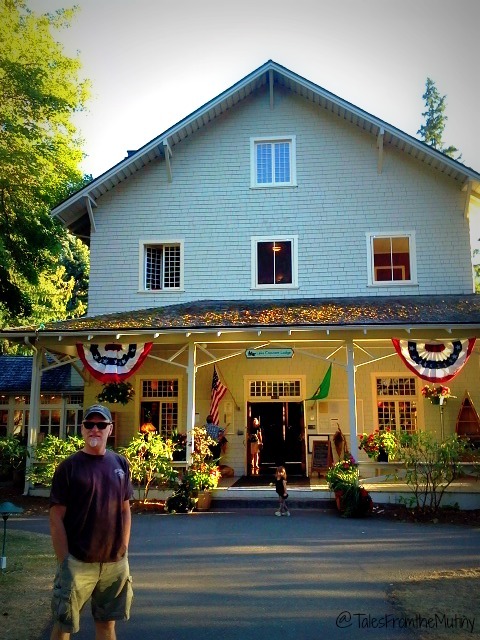 The lodge offers (very) fine dining and is a perfect place to end a day of hiking. Just grab a cocktail and head out to the lake where Adirondack chairs wait to cradle you in comfort. Although our trip to the area started off a little shaky, the beauty we’d seen in just a few days made it all worth it. And this was just the tip of the iceberg. 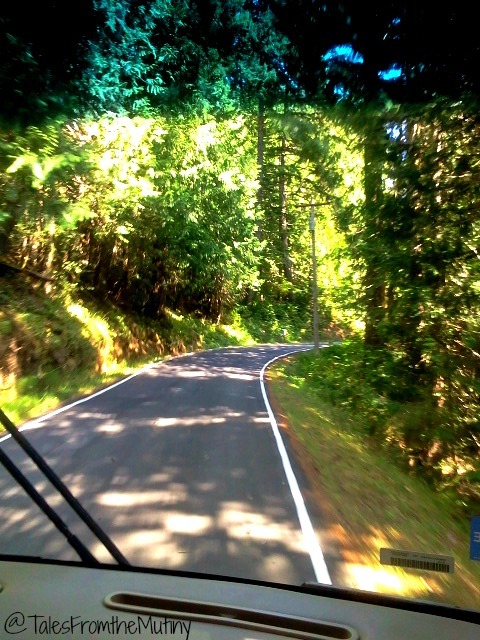 Stay tuned for more about Olympic National Park.